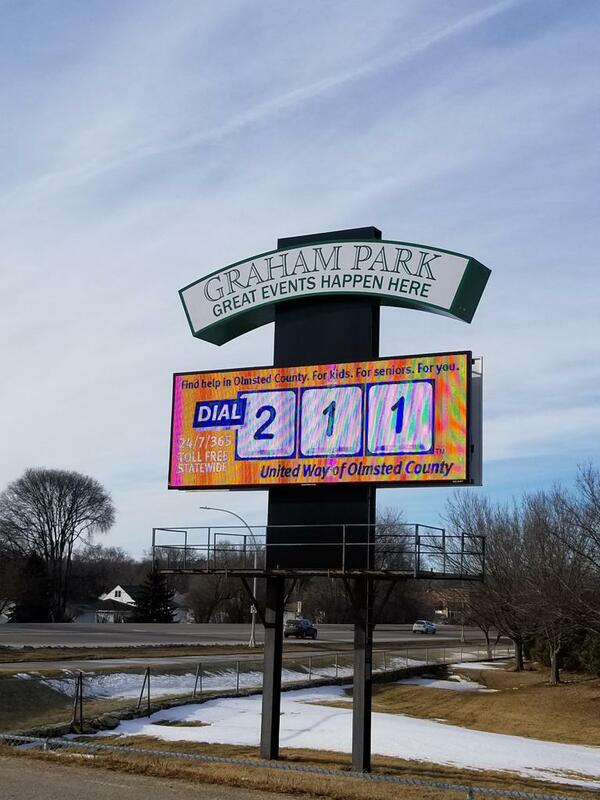 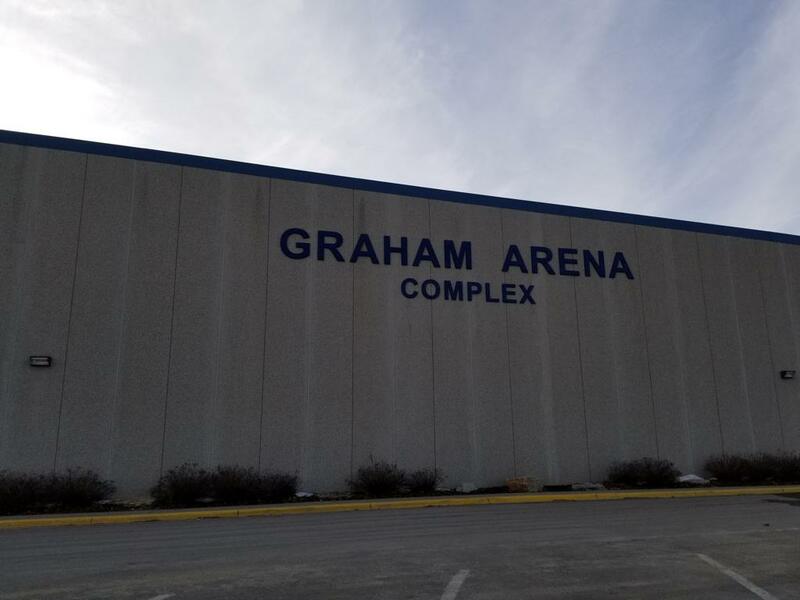 Graham Arena complex is located at 201 4th Street SE in southern Minnesota Rochester and is managed by the City of Rochester Parks & Recreation Department, and is owned by Olmsted County. 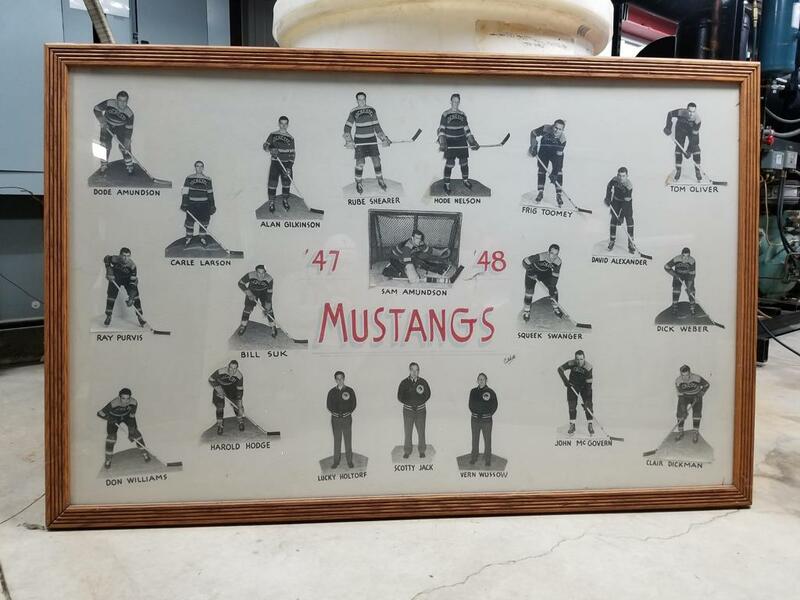 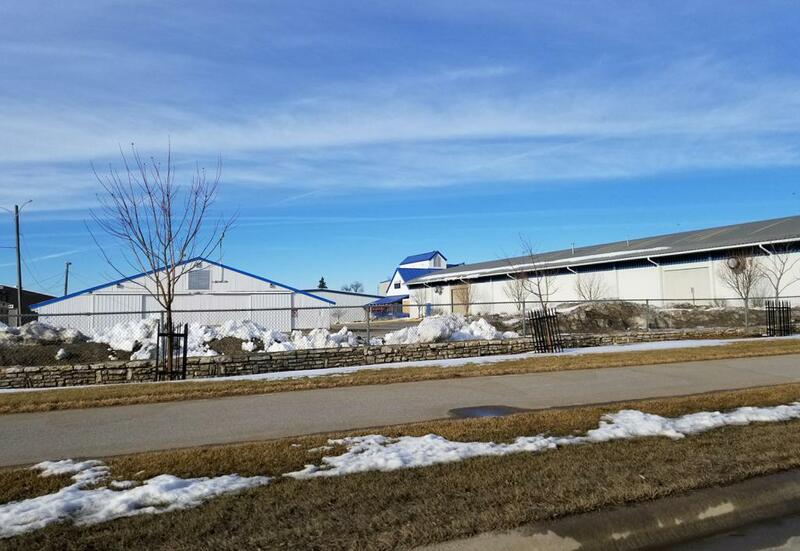 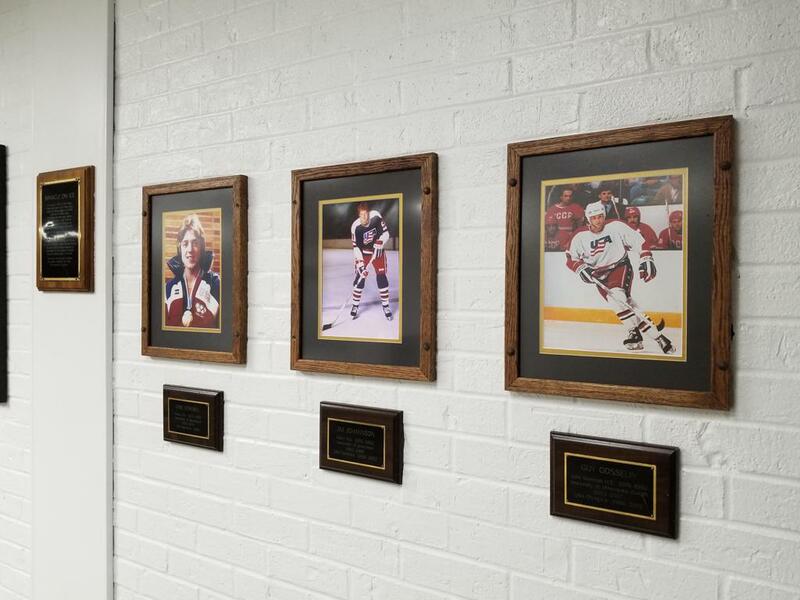 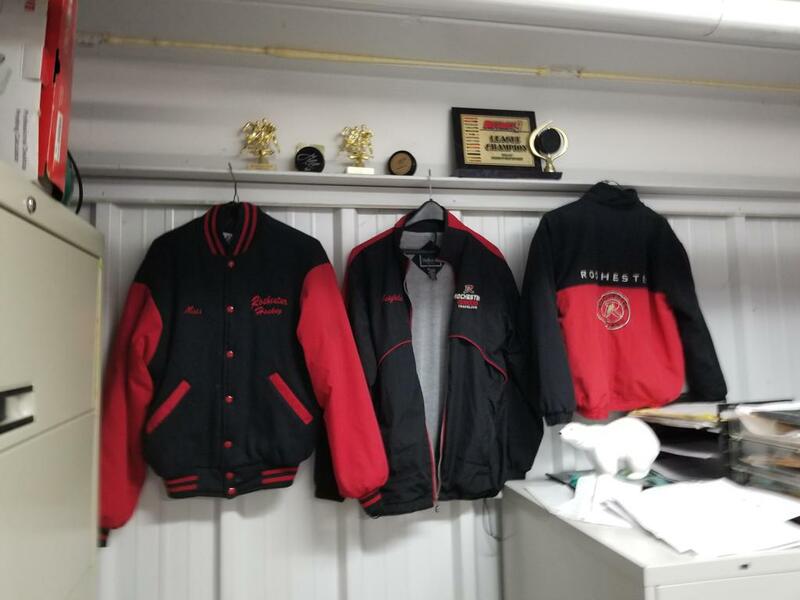 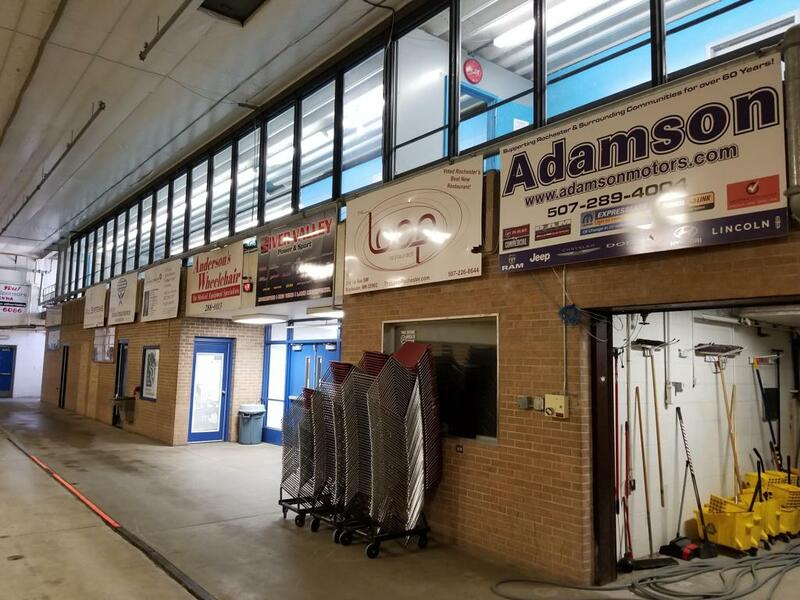 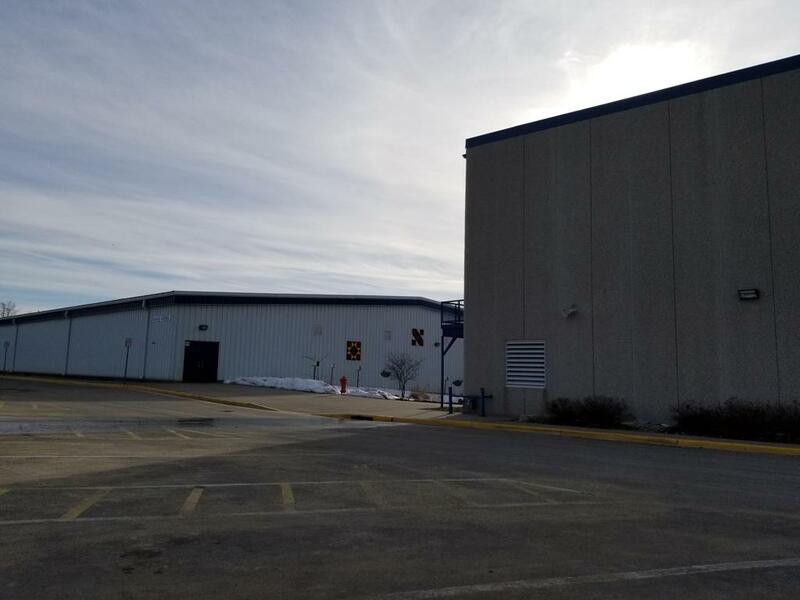 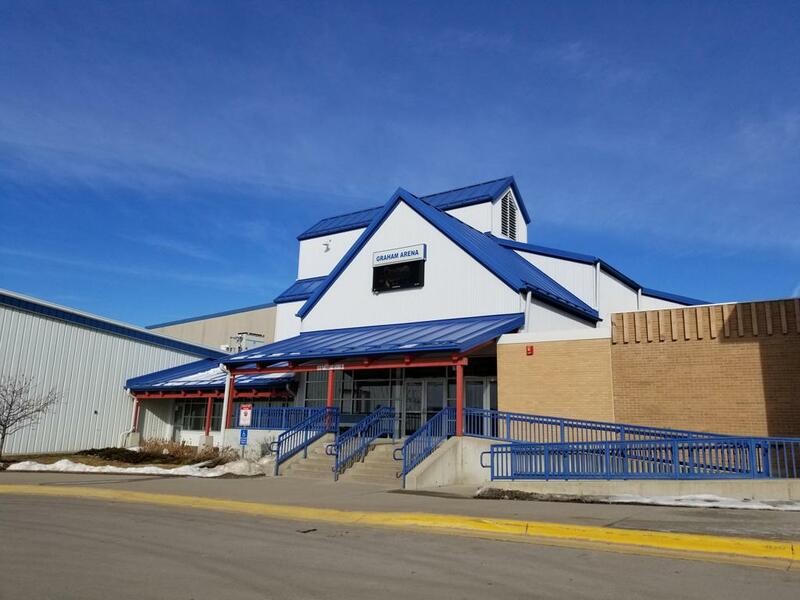 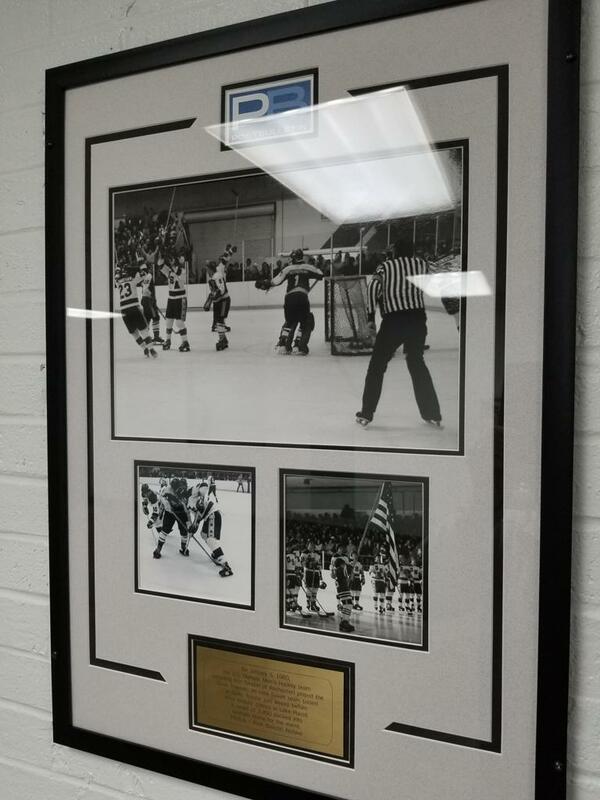 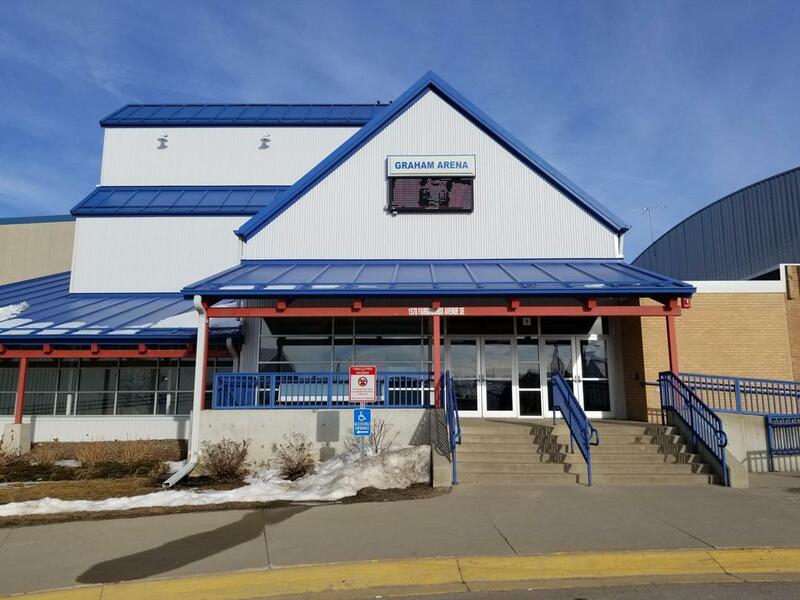 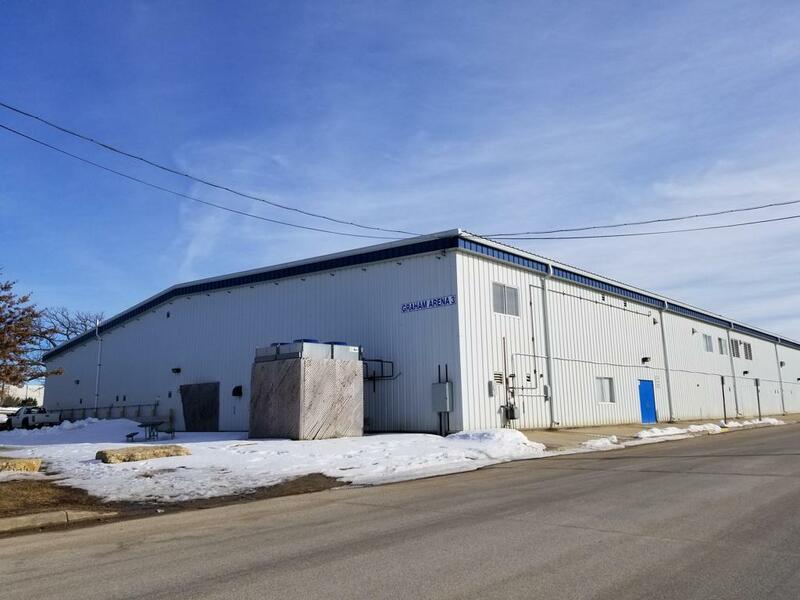 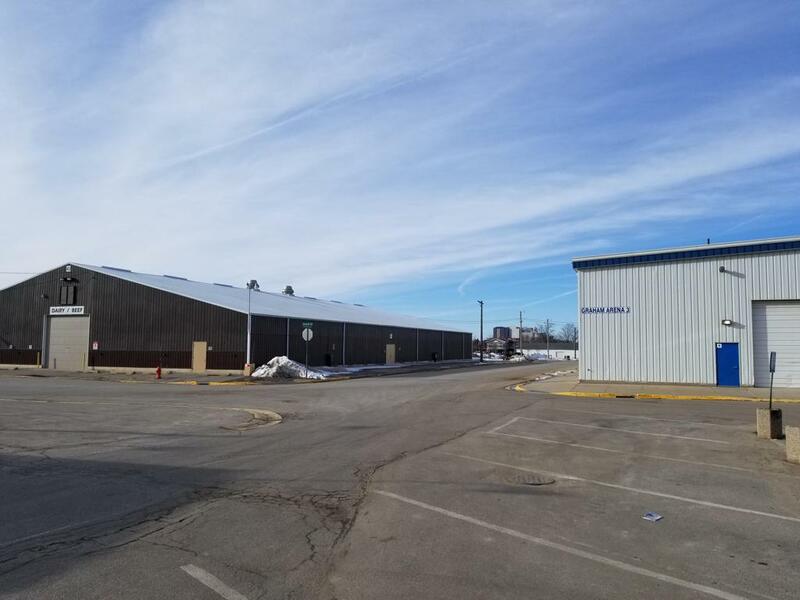 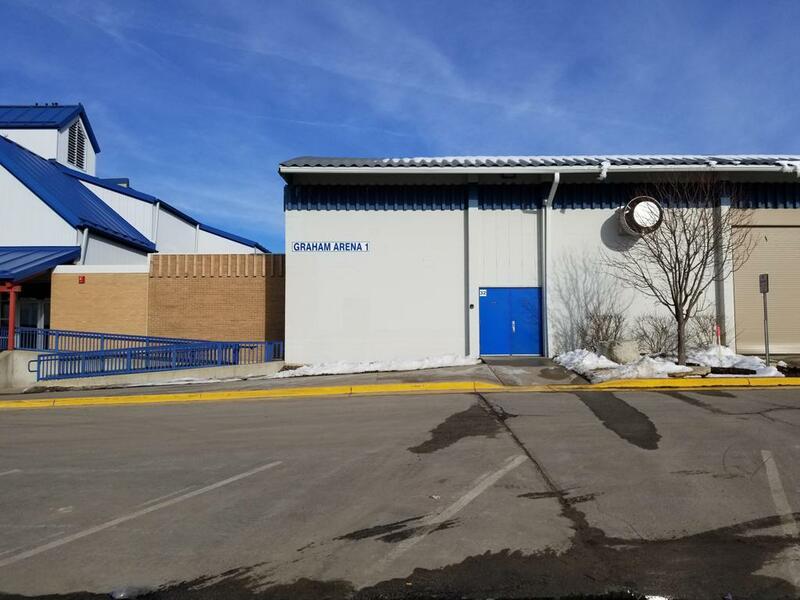 Rochester is well known for IBM and Mayo Clinic, but Graham Arena has it's own history within the Minnesota hockey community. 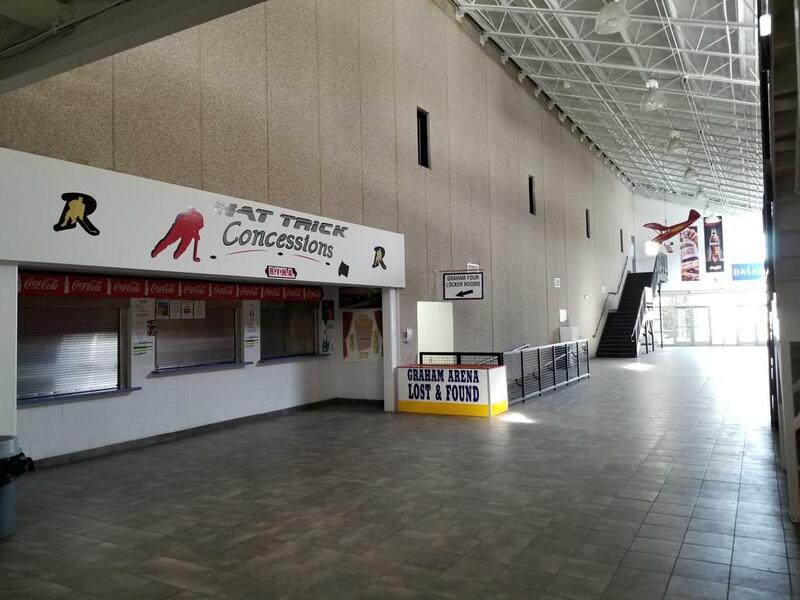 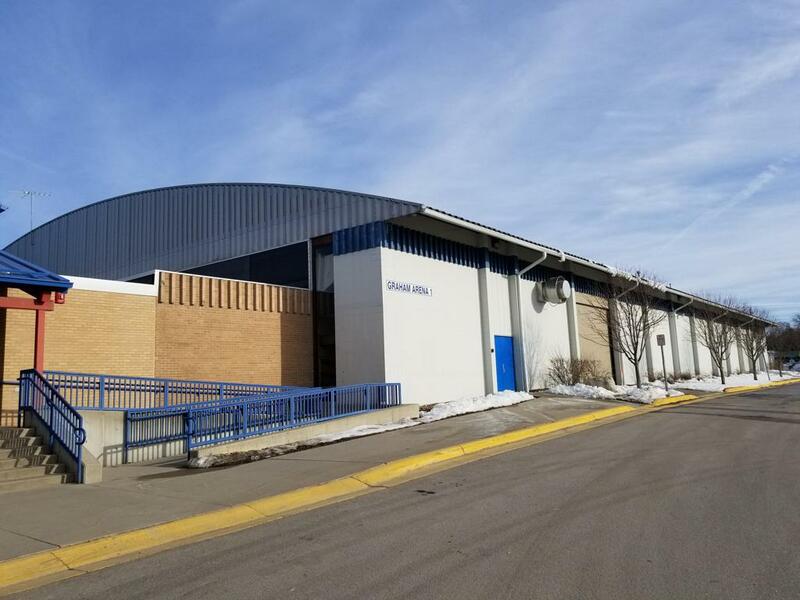 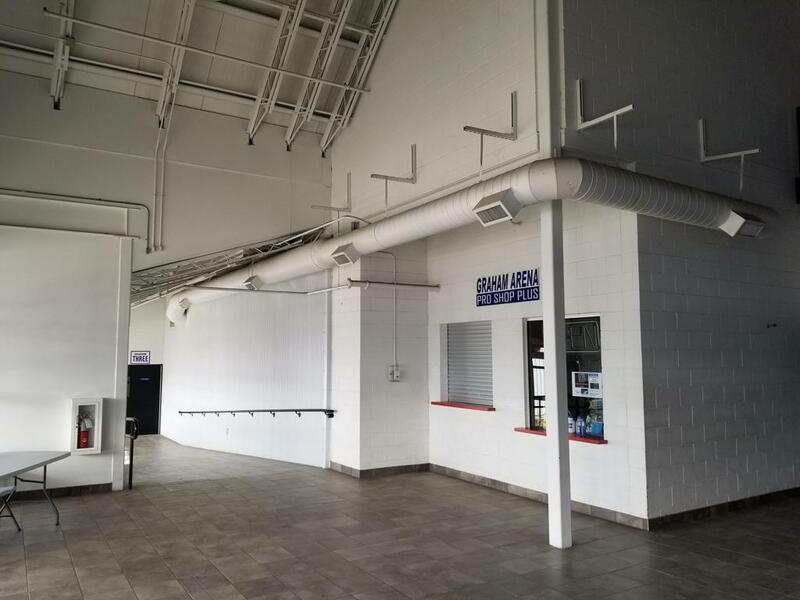 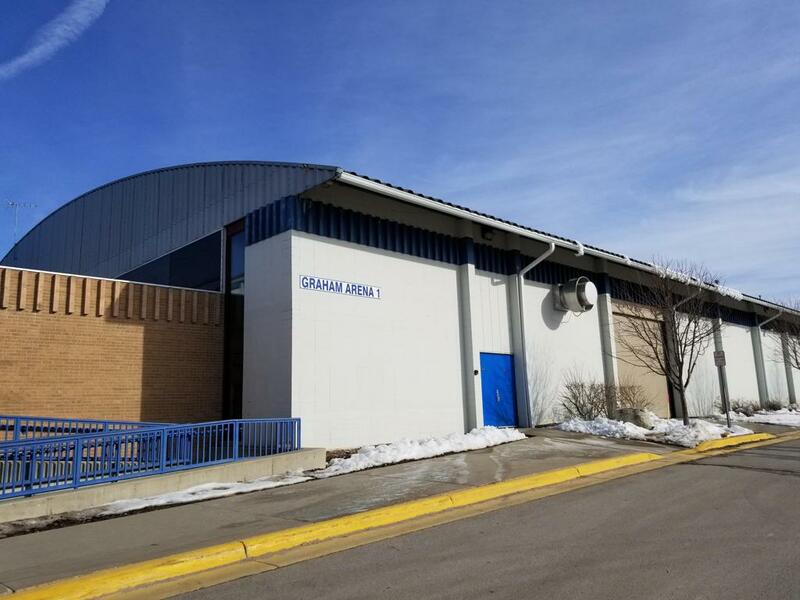 Built initially with one arena in 1968, and previously located at 200 Arena Drive, SE - rink #1 stood alone for 25 years until major renovations started to take shape to the now 'complex' and developed a new address. 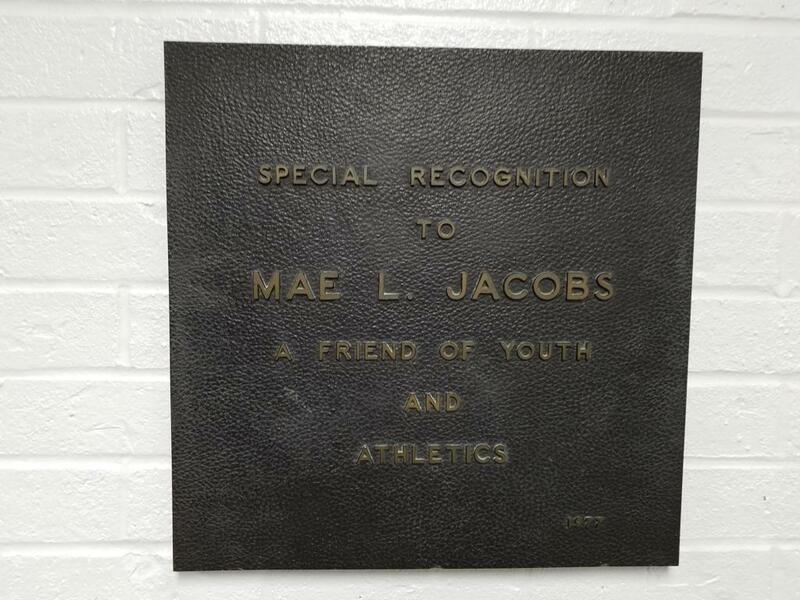 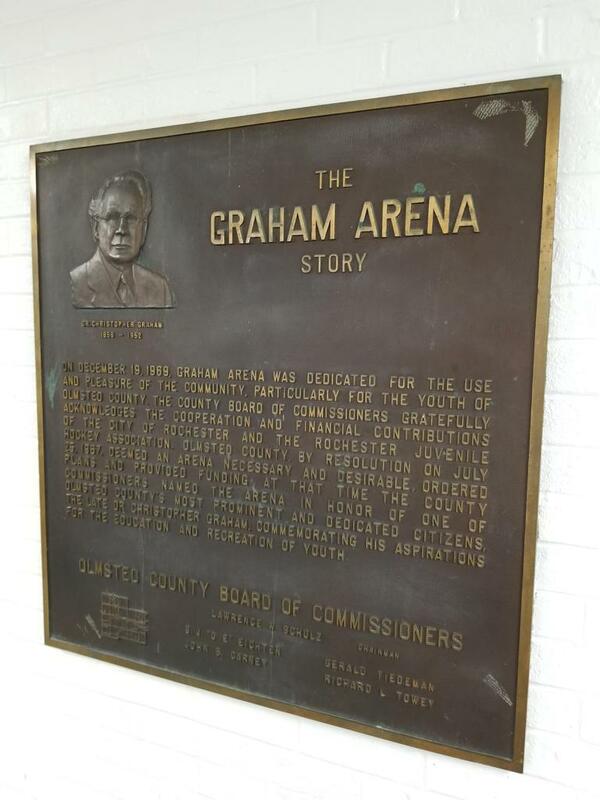 Following a resolution passed on July 25, 1967 it "was deemed an arena necessary and desirable" with plans and funding ordered by the County. 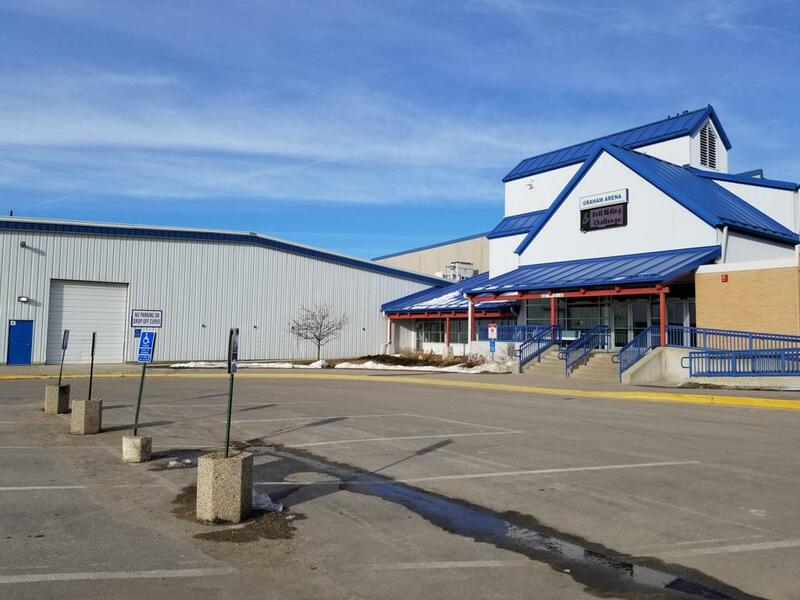 Located within the charmingly small, Olmsted County Fairgrounds below the corn stalk water tower, the arena complex has blossomed to house 4 sheets of ice today, and is the second largest indoor arena within Minnesota, second only to Schwans Super Rink in Blaine, MN that is the largest indoor arena in the entire world. 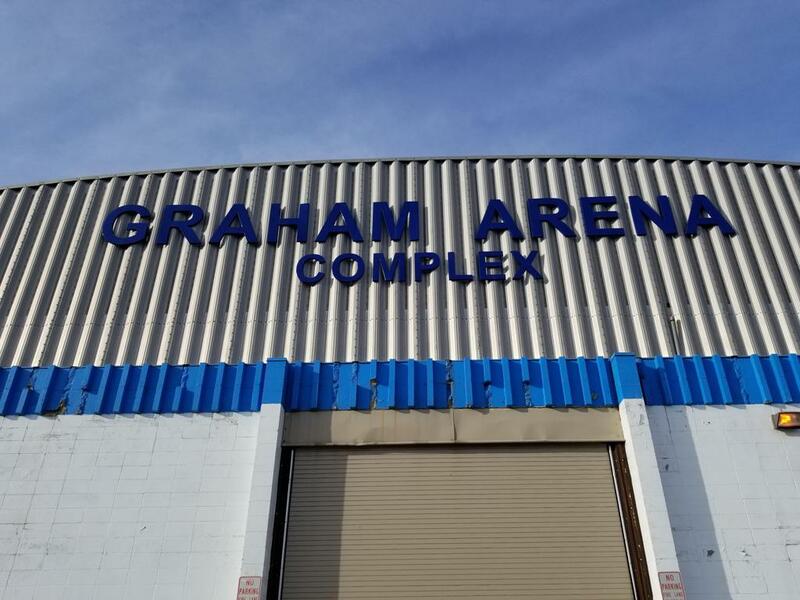 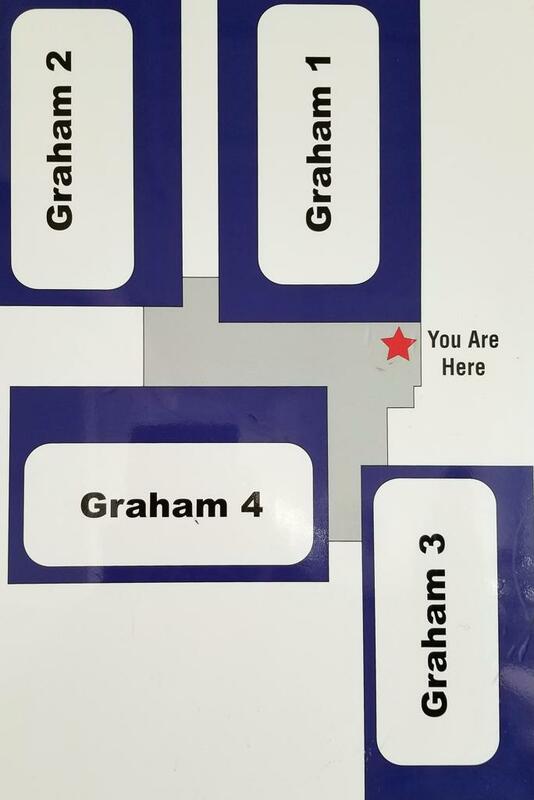 Graham has a total footage of 20,000 square feet, joined together almost like a Tetris puzzle when looking at the arena layout map, connected by a very large spacious heated 8,000 sq. 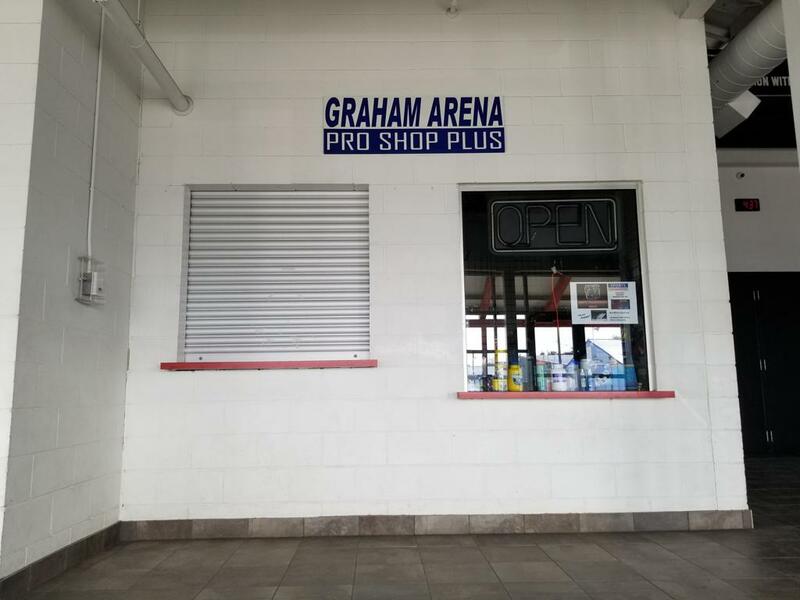 foot lobby that features seating for spectators, Graham pro hockey shop, and a large concessions area, with some unique building history outside of 50+ year old Graham #1. 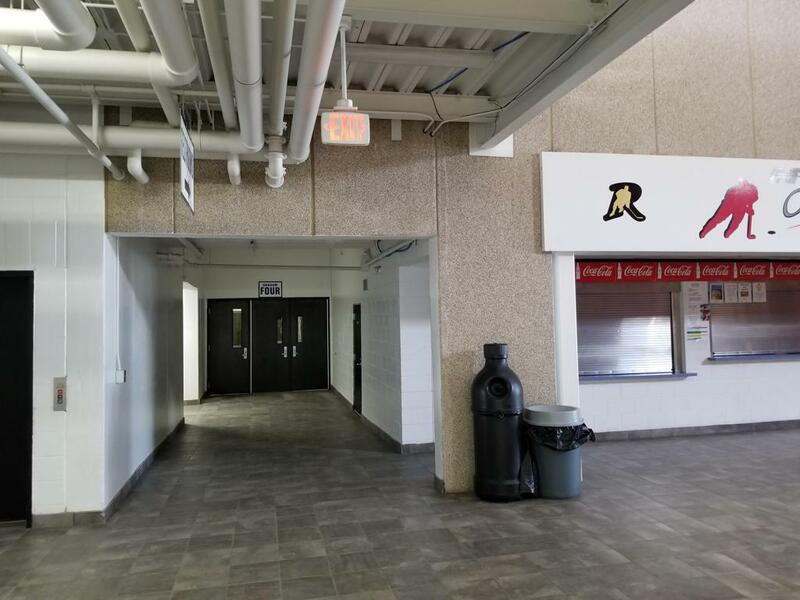 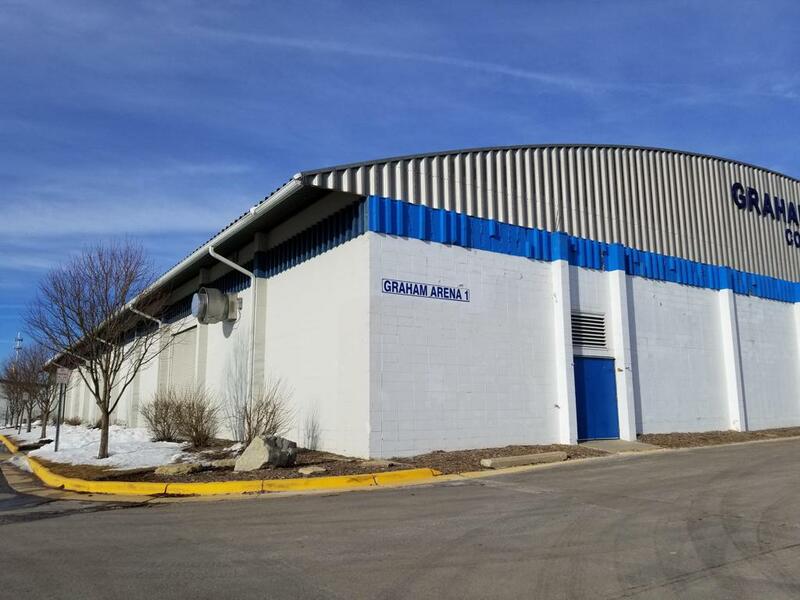 Graham rinks are today aptly named Arena(s) #1-4 based on ages of each building - and is the home arena complex for Rochester Youth Hockey Association, and historic local boys and girls high school hockey programs: Mayo Spartans, Lourdes Eagles, and Century Panthers. 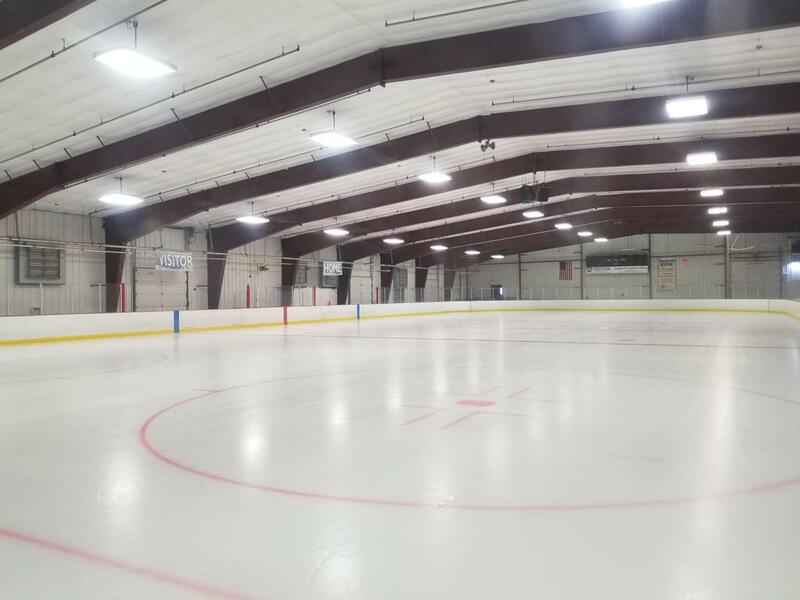 The peak facility time is during the winter season with numerous youth and high school games, but also stays busy during the summer months with dry floor activities mainly on weekends, including Rochester Big Ones Gold Rush arts and crafts days, and various Olmsted County Fair indoor activities. 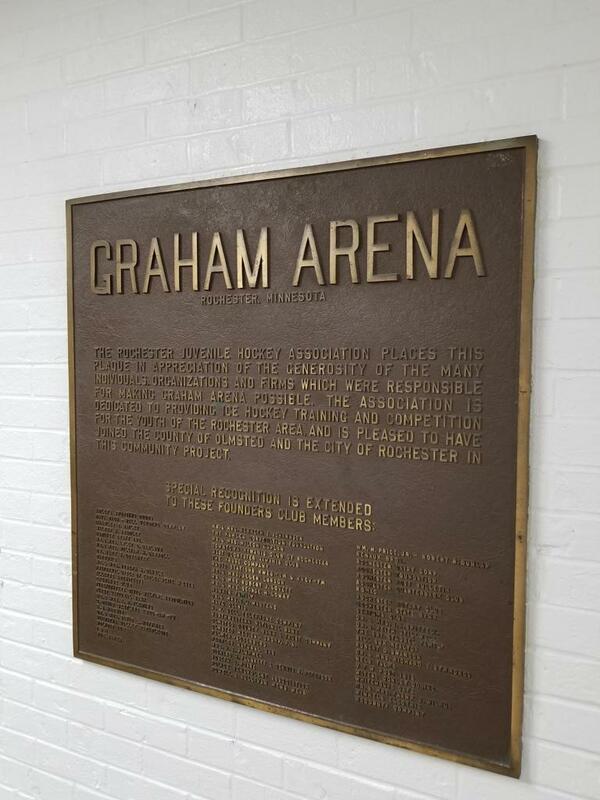 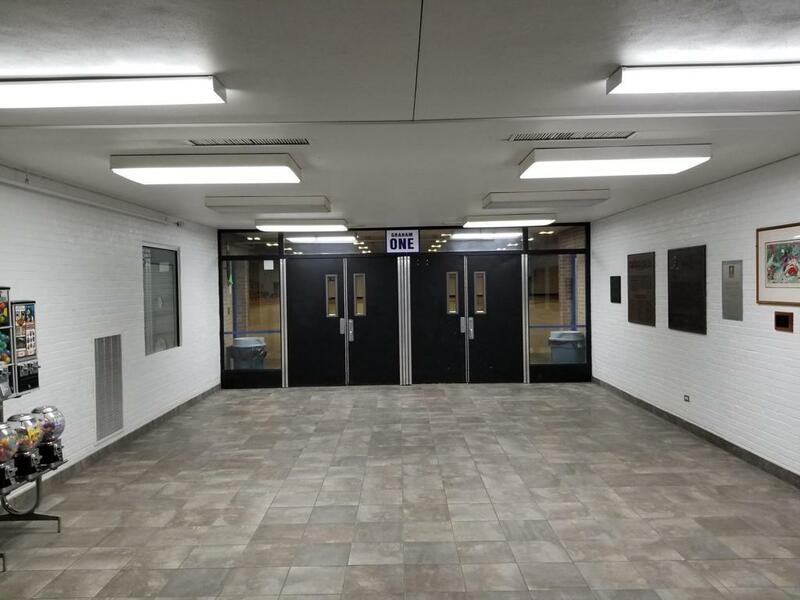 Graham Arena #1 was built in 1968 at cost of $350,000 for the people of Rochester, MN particularly for the youth of Olmsted County and was later dedicated December 19, 1969 in honor of Physician Christopher Graham following his passing. 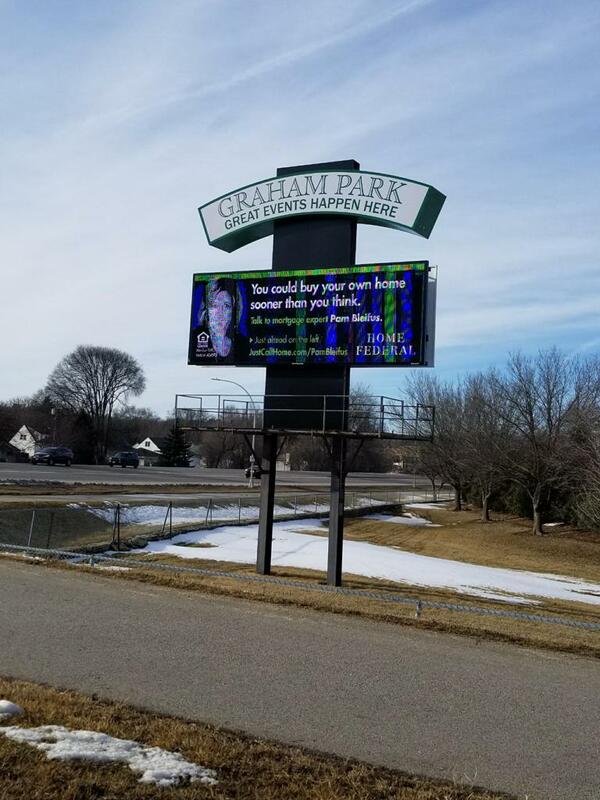 The late Dr. Graham was one of the counties most prominent and dedicated citizens, and was so honored by the County Board of Commissioners to forever remember his aspirations for the education and recreation of youth. 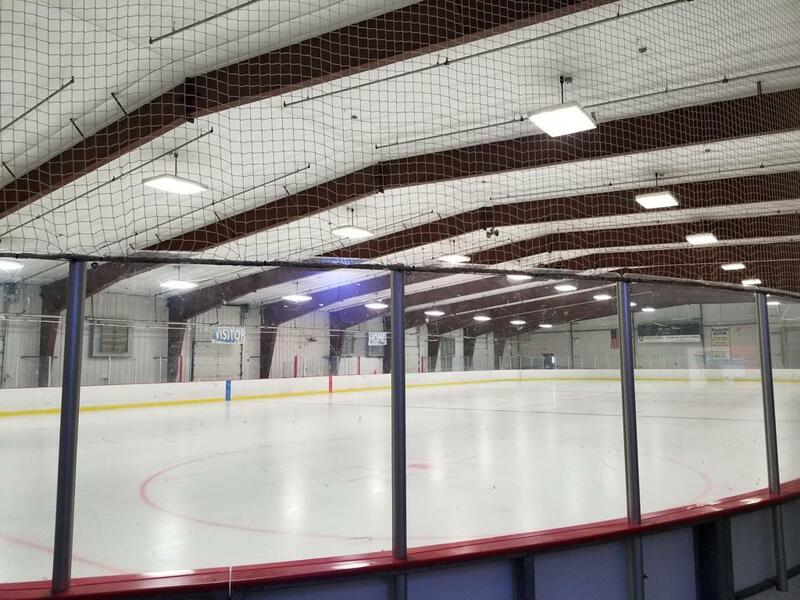 Arena 1 outwardly has a vintage barrel shaped roof, which was prevalent throughout many arenas built in 1960's-1980's, ironically though, the interior roof appears flat and very low to the playing surface due to interior insulation. 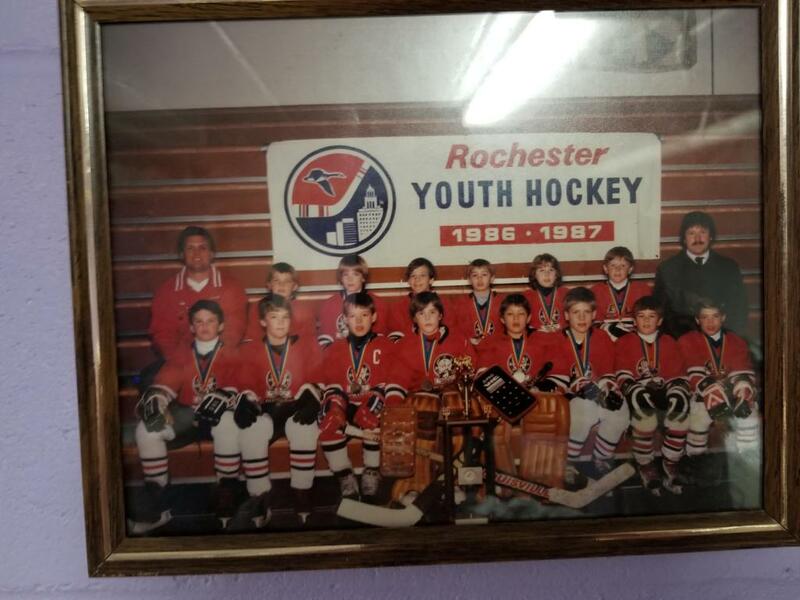 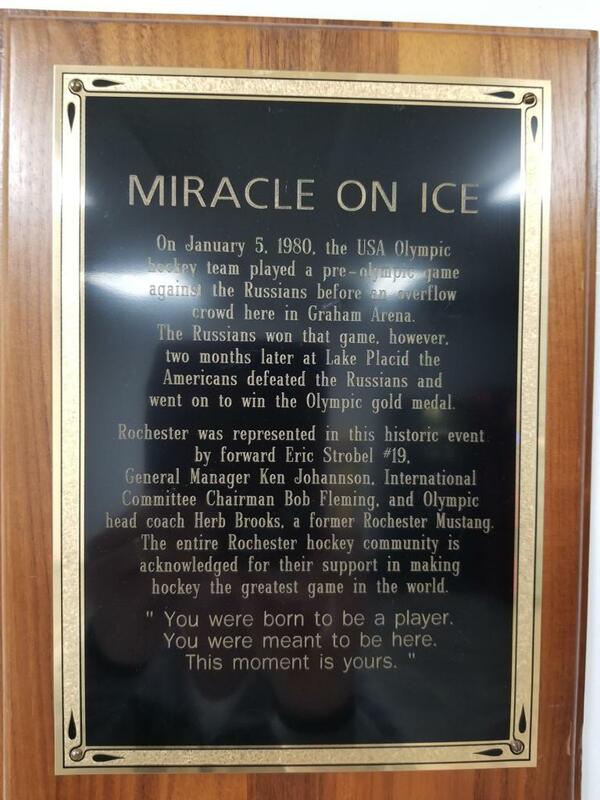 2 months prior to the 1980 Olympic Games held in Lake Placid, and the eventual Miracle On Ice team, with Rochesters' own player #19 Eric Strobel, former Rochester Mustangs legend then serving as USA Hockey G.M. 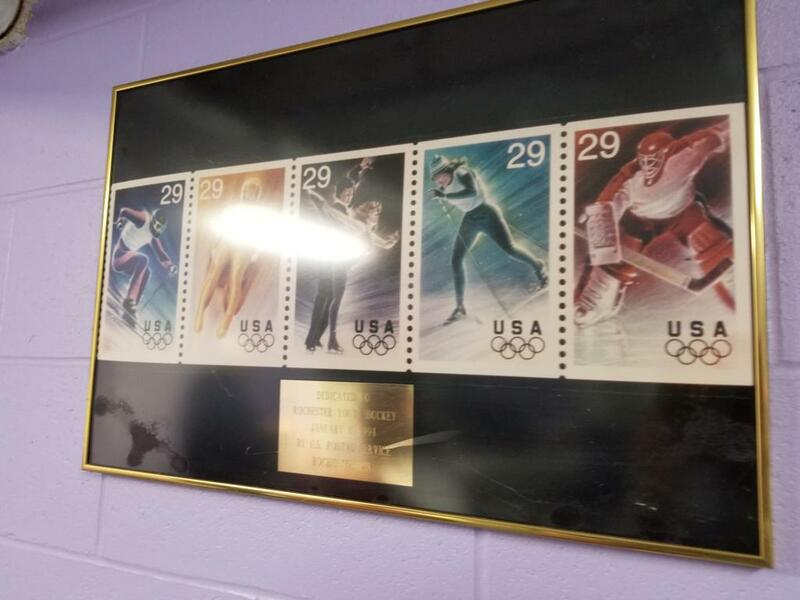 - Ken Johannson, and former Mustang player serving as USA Head Coach - Herb Brooks, faced off in a pre-Olympic game held in Arena #1 on January 5, 1980 with a packed house with 2400 spectators in the only 1700 seating capacity arena see team USA fall to the Gorki Torpedo Russians, plaques and photos of the game are displayed within the lobby area, and shown in the slideshow below. After being the lone arena for 25 years (1968-1993), the now complex started to take shape when the second arena #2 was added in 1993 at cost of $1.1 Million. 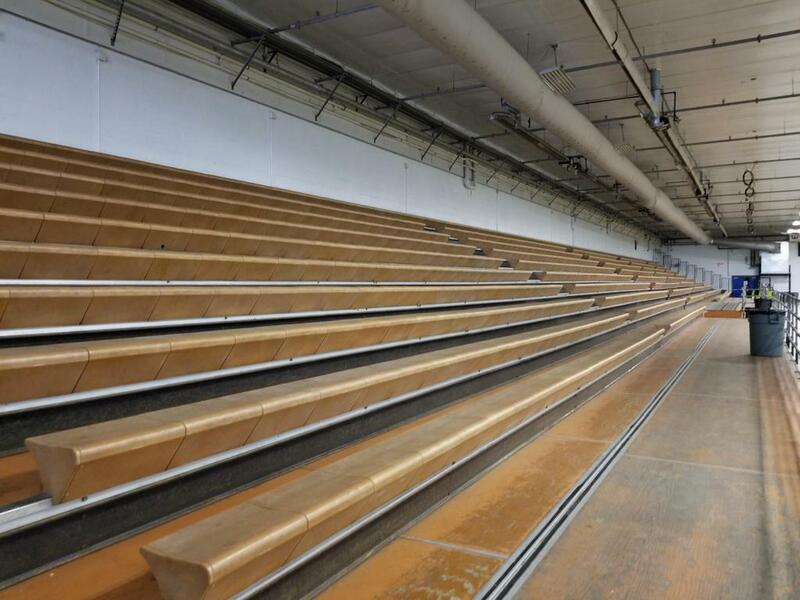 Arena 2 is used primarily for a practice sheet and has pull out style seating for approximately 200 spectators. 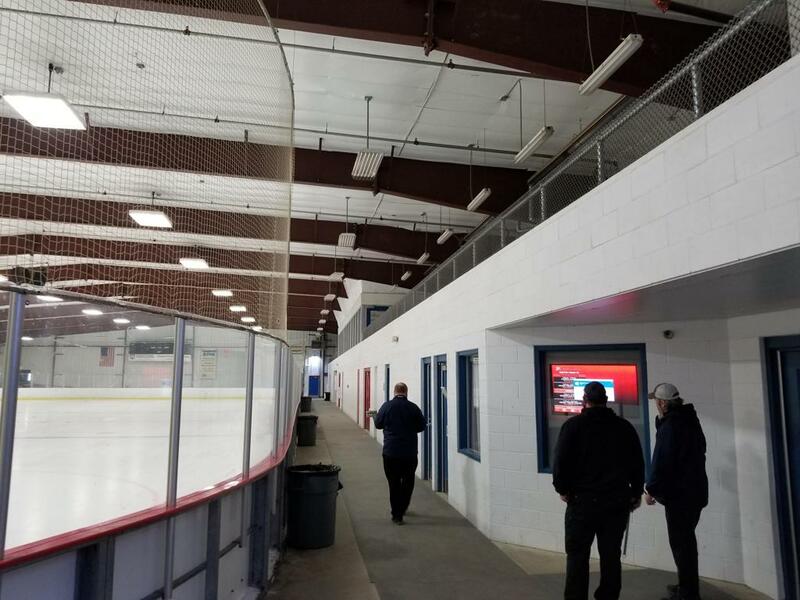 Arena #3 was added 3 short years later in 1996 at a cost of $1.6 Million and has no seating and additionally is used as a practice rink, and youth hockey games. 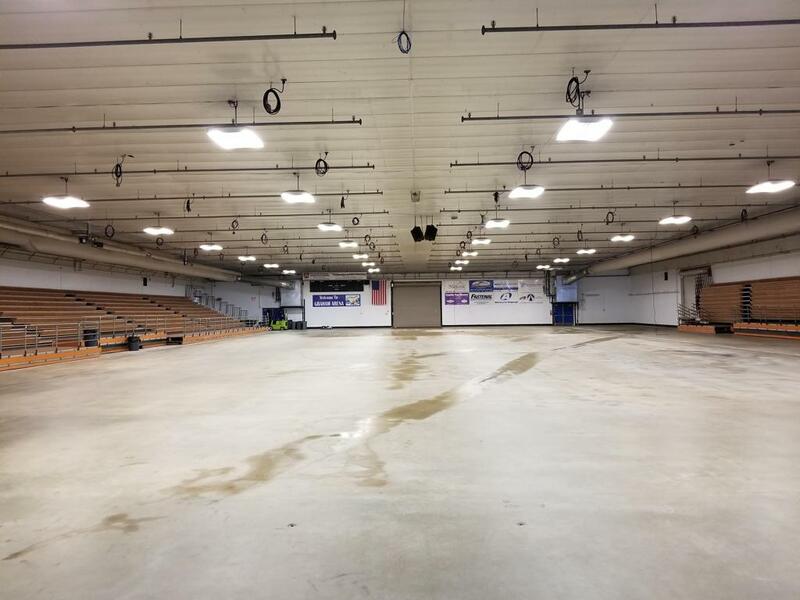 The second most spacious, only to that of Arena #1 with seating for 1,000 hockey fans was finally added to the Olmsted County Fairgrounds when Arena #4 was built in 2007 at a cost of $6.4 Million. 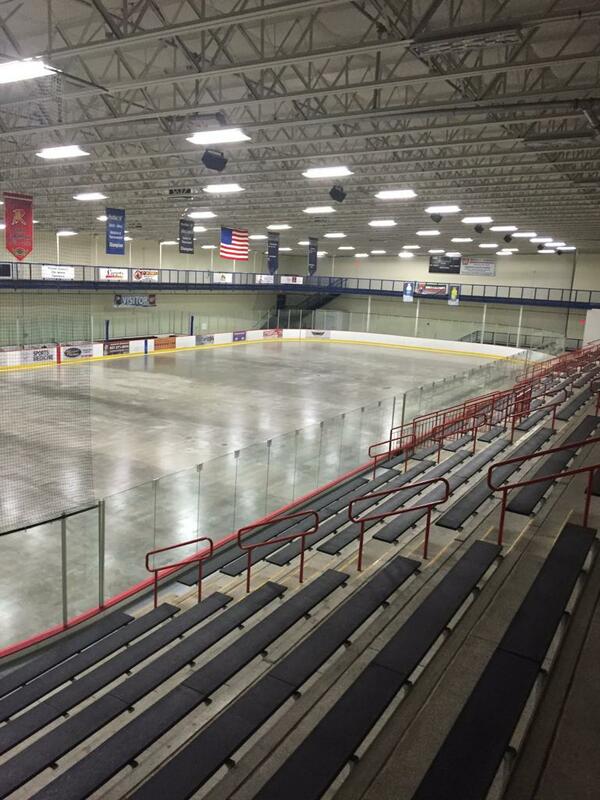 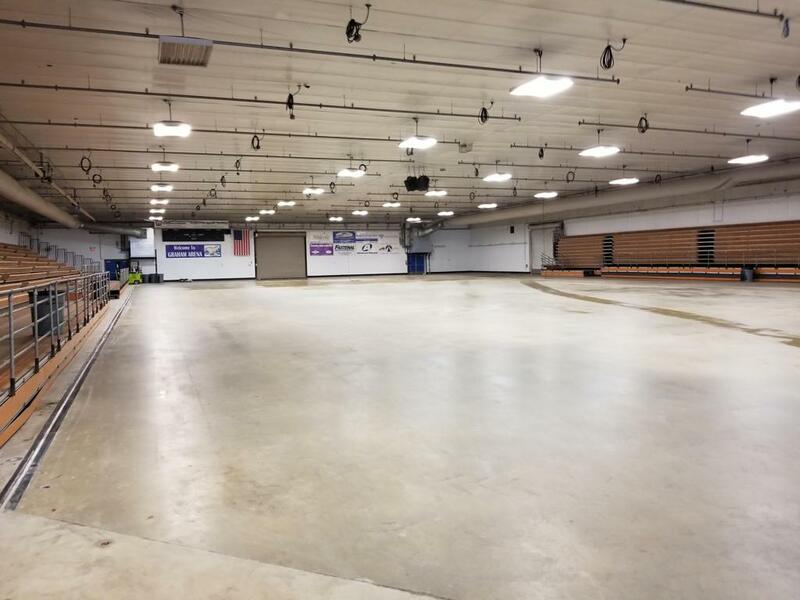 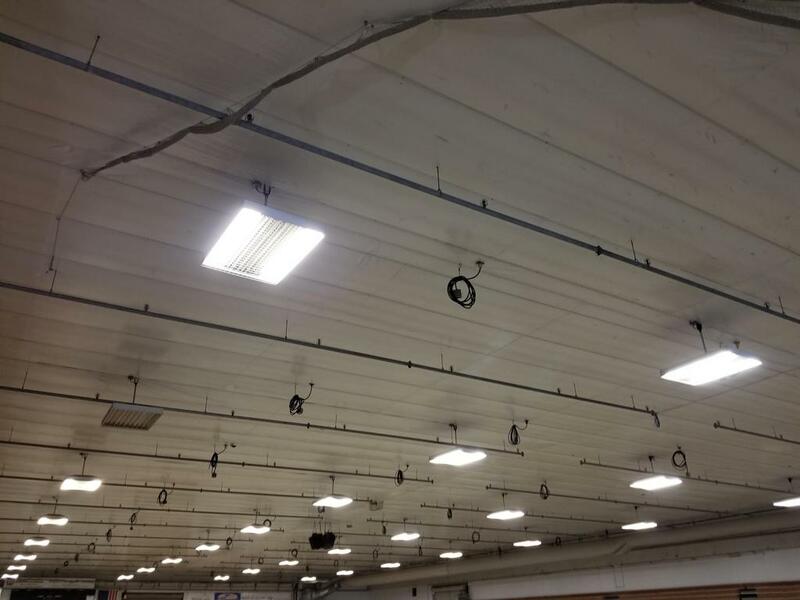 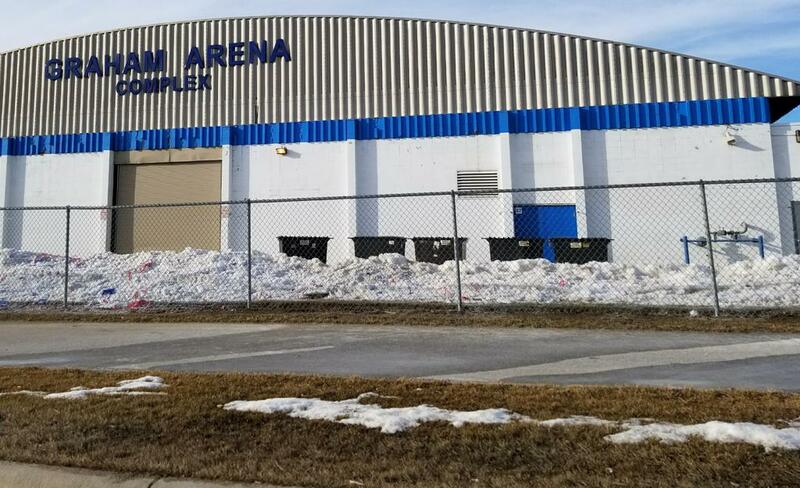 This is one of the main game rinks today, and is clearly the newest, and also "has ice in this arena the longest of each calendar year for approximately 10 months, only to be removed in July and August for the County Fair", per Arena Manager Bob Montrose. 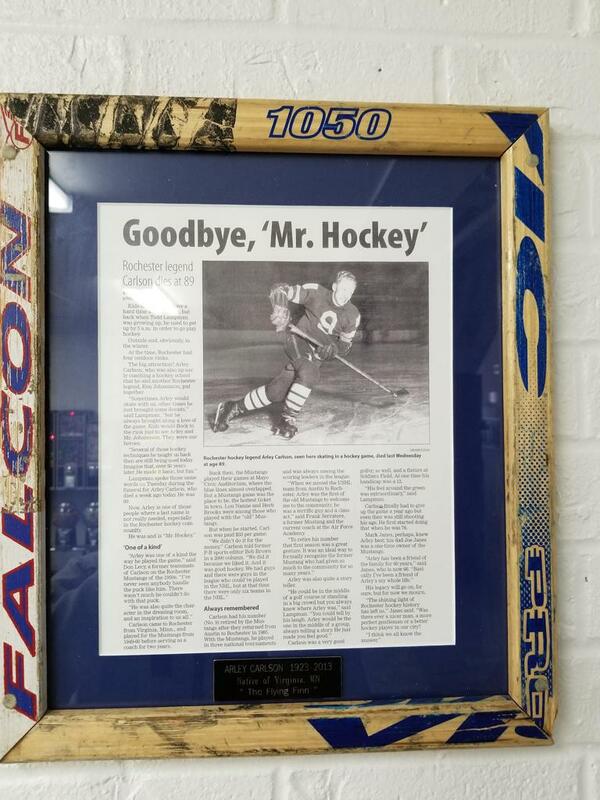 Bob was gracious enough to give us a tour of the facility when we visited the building, but sadly, ice was already out in historic Arena #1. 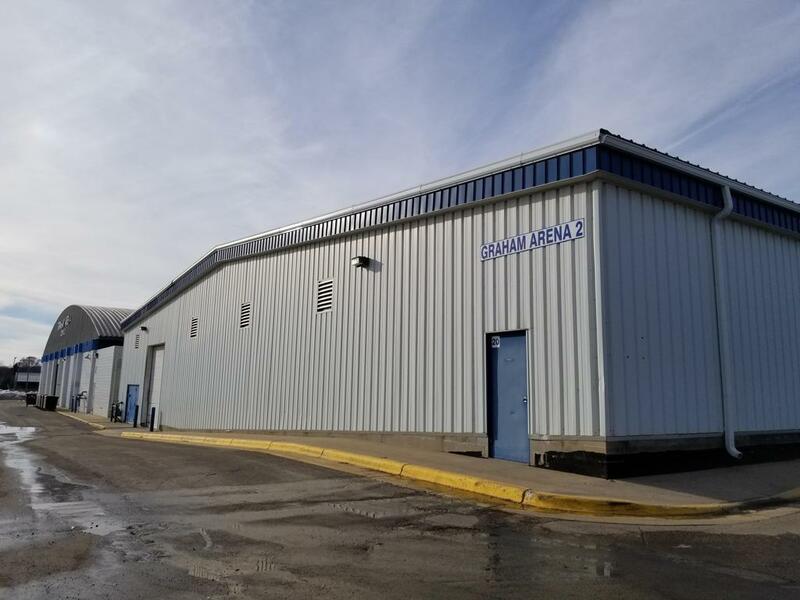 A little bit of arena refrigeration history took place in this building as well when "Arena #1 and #4 were the first EVER geothermally converted rinks in the world" - per Bob Montrose. 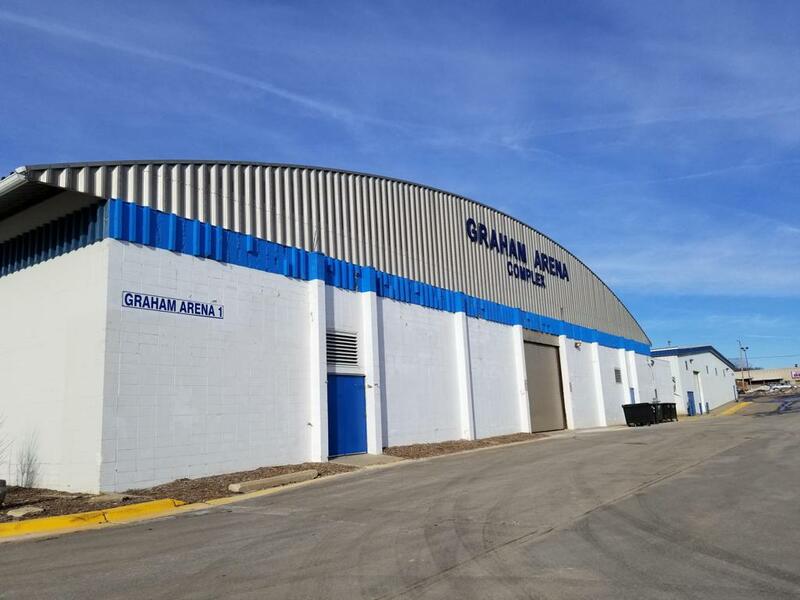 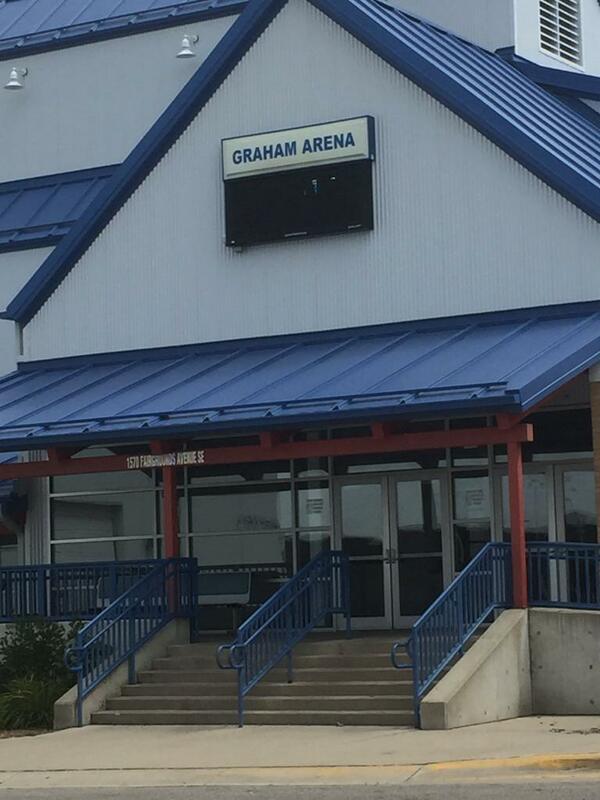 Graham Arena Complex is staffed by 3.5 full time employees, and 14 part-time, and yearly sees over 550,000+ guests enter the complex for both dry floor and ice events. 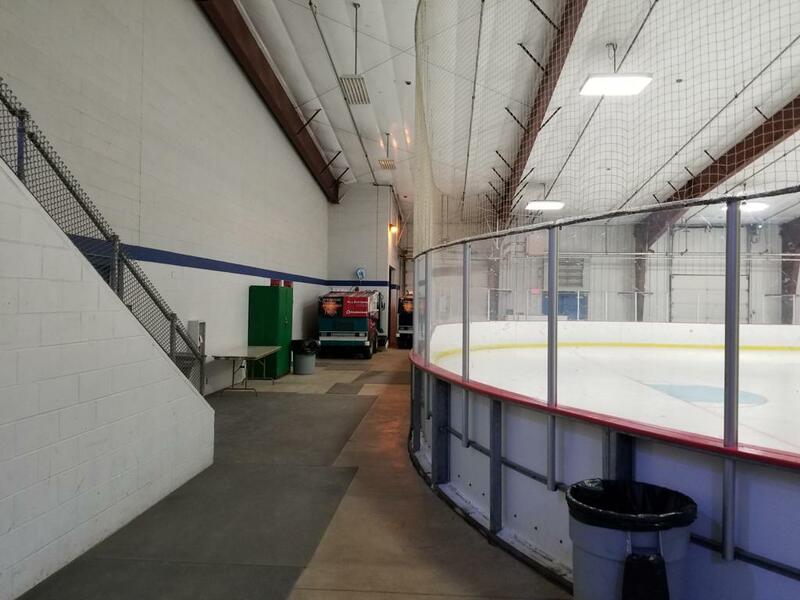 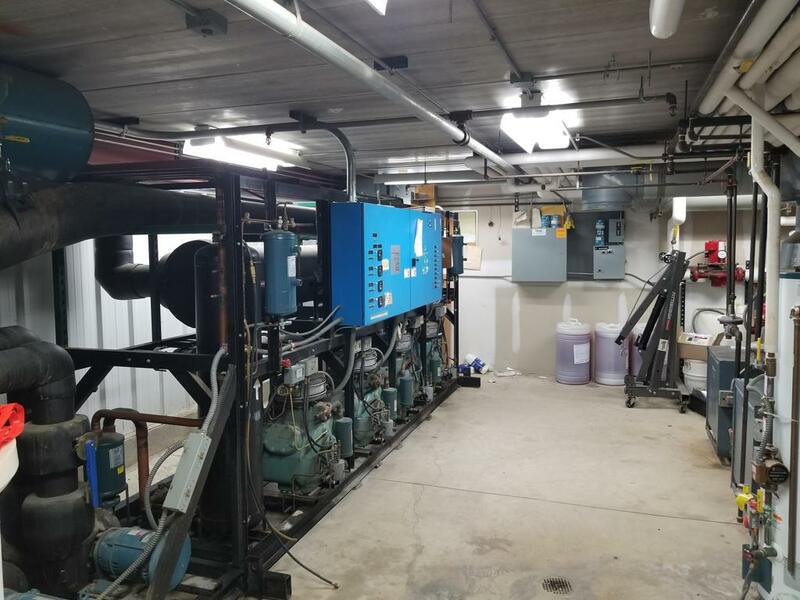 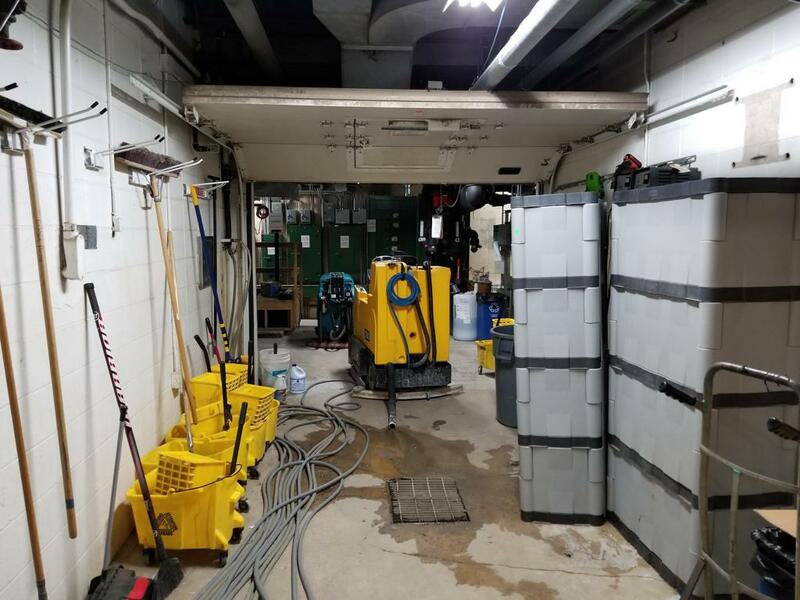 The playing surface stays clean by different ice resurfacers including Zamboni and Olympia machines, and has 4 separate refrigeration plants within the complex. 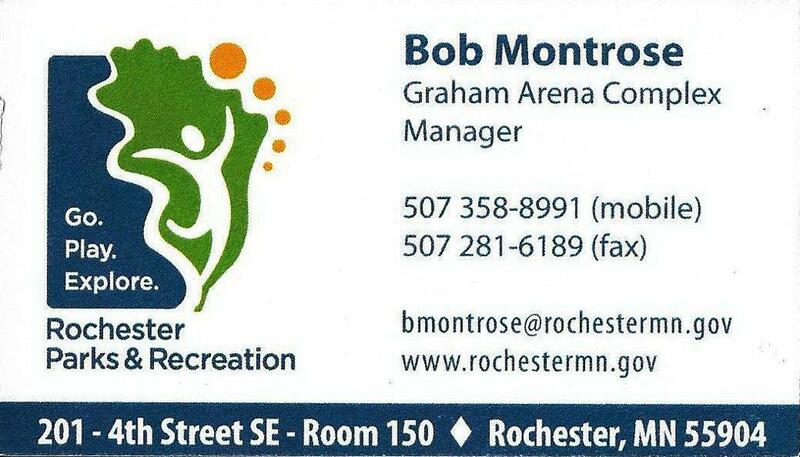 Special thanks to Mr. Bob Montrose and Staff for the tour through the facility, & sharing your Rochester, MN hockey stories with us.